With a knowledge and a skill that reveals his passion for the land and its people, David Kerr Cameron picks his way through the rural upheavals and developments of the late eighteenth and early nineteenth centuries towards the landscape we recognise today. In doing so he provides a wide-sweeping and unforgettable view of our rural history and completes his great rural trilogy portraying the old farming landscapes of Scotland's North-east Lowlands.Both nostalgia and great understanding are revealed as the author recalls a society based on the plough, a society that moved 'against the tapestry of the year: 'This was the backcloth against which the farmtoun folk lived out their days; its seasons and rituals governed their lives, and ultimately their destinies. Here now is that story, the story of a landscape all but lost before the onward march of agri-business and agri-technology'. The days recalled are the days of the Clydesdale horse and the hired man, the cottar and crofter, the farmtoun tenant and his laird. 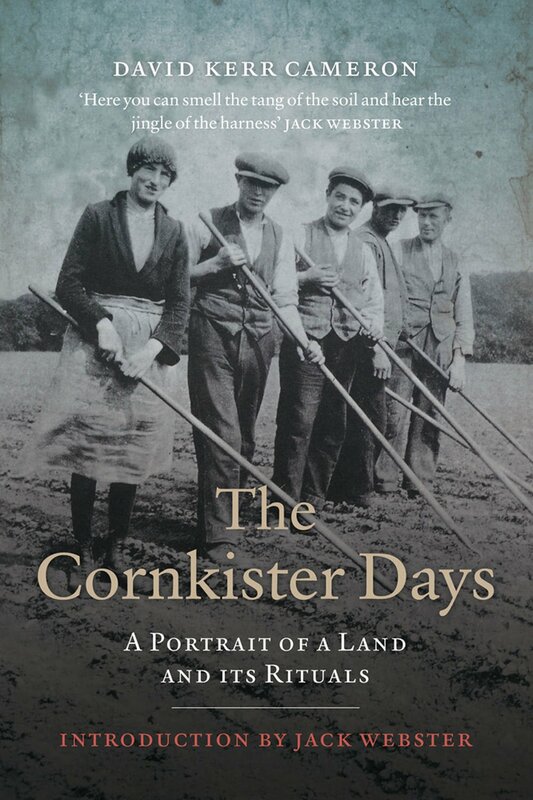 The Cornkister Days is part of David Kerr Cameron's trilogy of rural life.